Home / Tech Tip / New Bonus Options Available! The California Advanced Homes Program (CAHP) and California Multifamily New Homes (CMFNH) program provide EDR and cash bonuses for industry best-practice measures to reward builders and homeowners. These bonuses also help offset the incremental costs for these added measures. These new cash bonuses are model-able and are available for all 2016 code single-family and low-rise multifamily projects, as applicable. 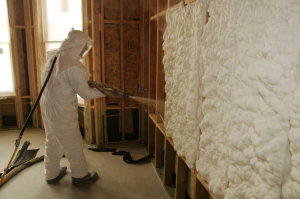 QII outlines a procedure to verify proper installation of insulation to maximize thermal benefit per methods detailed in the Residential Appendix RA3.5, and applies to floors, walls, roofs and ceilings. Claiming compliance credit for QII requires that a third-party HERS Rater verifies the integrity of the installed insulation. Lower building air leakage yields a tighter building envelope, which limits changes to the air from the outside and provides the opportunity for better thermal comfort. The building enclosure is tested using a blower door test procedure. To be eligible to receive performance credit for this, a project’s envelope air leakage rate must be less than 5 ACH50, which is the air leakage rate assumed for the standard design building. 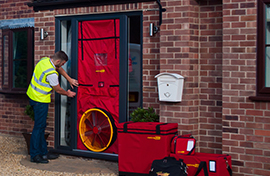 A third-party HERS Rater shall verify this air leakage rate per the Residential Appendix RA3.8. CAHP provides tiered incentives for reduced air leakage.